This year Tony and I have brought together the biggest shadow jury . But a truly global jury for a prize for world fiction . We have bloggers from the US , UK , France ,India and Australia .I feel we will really get the IFFP noticed around the world . 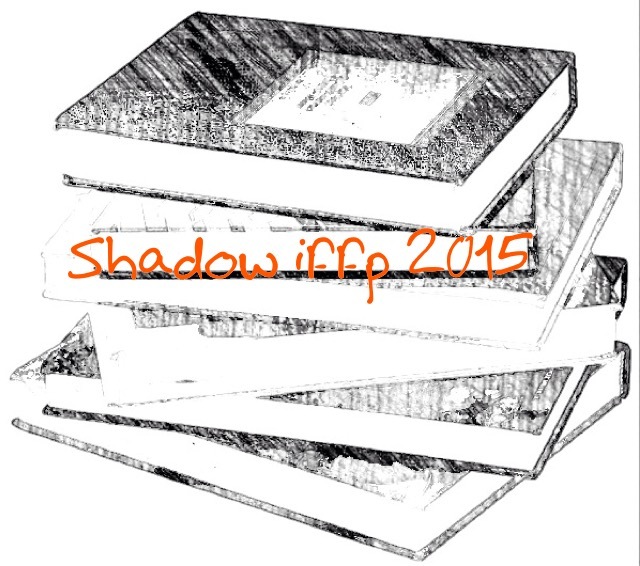 Chairman Stu blogger at winstonsdad , champion of translated fiction and starter of this shadow IFFp prize bringing the world of fiction to the readers so far 500 books from a 100 countries .Also twitter fan at @stujallen started hashtag #translationthurs to promote translated fiction . By day a support worker working with people with learning disabilties for the last twenty years . Tony Malone is an Englishman based in Melbourne who teaches English as a second language to prospective university students .He is interested in foreign languages and literature , focusing in particular on German , Japanese and Korean . 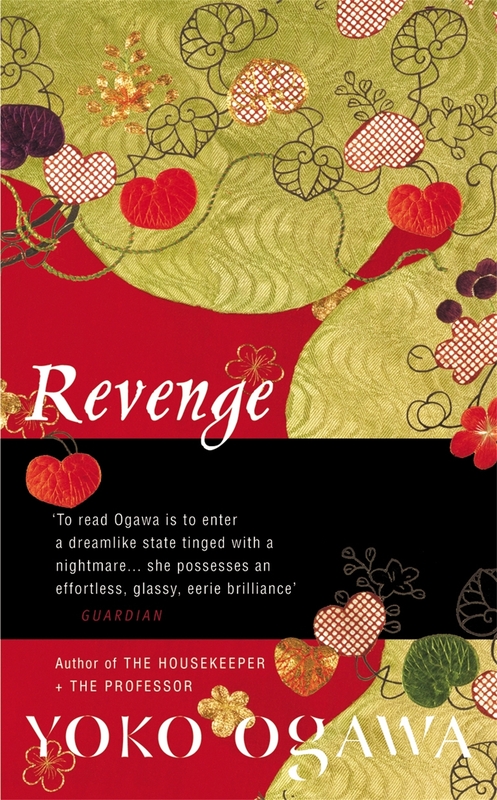 He blogs about literary fiction in translation at Tony’s reading list and can be found on twitter at @tony_malone . Chelsea McGill is an American living in Kolkata, India who recently got married and finished a Master’s degree from the University of Chicago. She is interested in the anthropological and psychological aspects of international literature. She blogs at The Globally Curious and tweets from @chelsea_mcgill4. David Hebblethwaite was born in the north of England and now lives in the south with a lot of books. He’s trying to read more from around the world, and to work out exactly how and why his reading tastes have changed recently. He blogs his thoughts at David’s Book World, and tweets as @David_Heb. Grant Rintoul teaches English in Scotland, where, amid towering piles of marking and bringing up two children, he somehow still manages to find the time to read. He blogs at https://1streading.wordpress.com/ attempting to keep his English language reviews proportionate to those from the rest of the world. You can follow him on Twitter@grantrintoul where, among all the literary links, he will occasionally irritate you with obscure references to Scottish politics. Well the shadow Jury announced their winner yesterday it was Sorrow of Angels ,one that missed the real shortlist .So as you read this I’m on a train heading to the Bg smoke as I was grateful to be invited to the 2014 award night for the Independent foreign fiction prize 2014 .Tony did his round-up and thought on the shortlist and whom he thought would win .So I decide to be rather fun and go for an if this book was a footballer post for fun and whom I’d think will win .So here are the books from the shortlist . 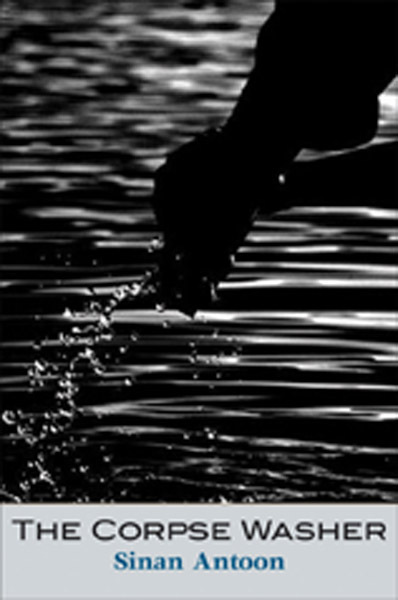 A collection of short stories , brutal at times and surreal at others . If the book was a player it be Younis Mahmoud ,I struggled to find a Iraqi that had played in the Uk there is one that had been at Spurs but hadn’t played for them ,so I cast my net further afield and found Younis Mahmoud one the most capped Iraqi ,players watching a couple of you tube clips ,rather like the book Younis remind me of a classic old fashion centre forward rather like Hassan prose remind me of classic short story writers . 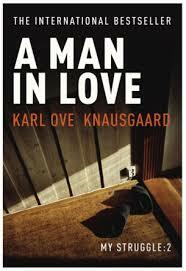 The second in the six book stgory of Karl Ove life seems him coping with early adulthood and becoming a father . If this book was a player ,well one struck me straight away and that was the baby face assassin Ole Gunnar Solskjær .As a united fan ,he is a player rather like Karl Ove made an impact straight away when he usually came of the bench like when we won the champions league .A folk hero character ,rather like Karl Ove that has his own mythology around him . Now if this book was a player ,I’ve picked Shinji Kagawa ,the player who United brought from Dortmund ,he has yet to fit fully into the team but has shown flashes of brilliance at times and what is to come and that is like this book flashes of great thing to come from the writer . Two soldiers , a Jewish man and a Pole stuck in a room sort of microcosm of the war share an evening as the snow traps them . Well I initially thought of King Eric but actually settled for Laurent Blanc , he had a cameo at united and rather like this book we hoped to have seen more of him like we hope to see more of Mingarelli . 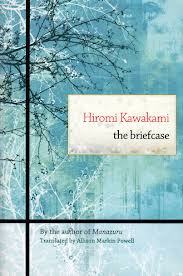 A collection of dark interlink through motifs stories from a master of the short story form . Hidetoshi Nakata is the player I imagine for this book a clever midfield that broke out of Asian football and played in Italy for a number of seasons .Like the book Nakata was a player you just loved to watch playing for his silky skills like Ogawa writing is one I love reading . 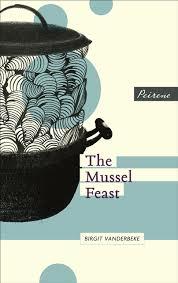 A family have cook a favourite meal of the absent father a book set just as the wall is falling in Berlin . Well when I thought of this rather mad post ,this is the first player I thought of Matthias Sammer as one of the first East germans to player for the unified german team Sammer was amazing he was a commanding defender and sweeper that controlled games ,but had to retire early due to injury and maybe like this book as I’ve said what differenece would it have made coming out at the time ,what did we miss from Sammer due to that injury . SO for me its between Mussl feast or A man in love to win ,I can not seperate those two and another is in with a chance which you may guess .Who do you fancy winning this year ? A few thoughts from me ,I have loved hosting this year as everyone has made a real effort to read all the books and 83 reviews out there is a great acheivement and wonderful way to promote the IFFP to a wider readership . I might have speculated on my chances of going to Heaven; but candidly I did not care. I could not have wept if I had tried. I had no wish to review the evils of my past. But the past did seem to have been a bit wasted. The road to Hell may be paved with good intentions: the road to Heaven is paved with lost opportunities. 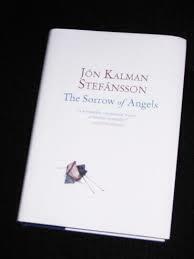 Well yesterday I covered part one of this trilogy Heaven and Hell ,so far Jón Kalman Stefánsson has written nine novels and in 2005 won the Icelandic Literature prize .Like the first in this trilogy I read this on more than one occasion the prose are very rich and need to be savoured on more than one occasion I feel . It’s snowing .The snowflakes fill the vault of the sky and pile up on the world .The wind is gentle and drifts hold their shape ,The surface of the sea is calm and ceaselessly swallows the snow . Weather but a little calmer than in other parts of the book . Well I think that quote sums this book up well ,the book follows a journey taken by the still unnamed boy who was one of the main characters in the first book and Jens a postman as they seek to deliver a package for a doctor in the hinterland of Iceland .Now the boy an orphan whom in the first book lost his good friend seems a much more rounded character in this book one who because of his past has fallen in love with books .The journey sees the two battle each other and the elements around them and maybe grow to know each other from this shared journey .As they move from farm to farm to get the item delivered . Oh, the aroma of this black drink ! Why do we have to remember it so well ;it’s been so very long , since we could drink coffee , many decades ,yet still the tast and pleasure haunts us .Our bodies were devoured to the last morsel long ago . As a coffee lover Stefanssson often mentions coffee . Snow ,snow ,snow ,cold ,wind this is maybe the book summed up in five words what we have here like the first book is a book is about man and his surrounds ,how we can conquer most things but the elements still even now (although this book is set a hundred years ago ) we struggle in the worst conditions to get by .Again the book is told in a collective voice ,an echo of a past gone but kept alive in these pages .The journey they are undertaking is maybe an eternal one that man has been taken since the beginning of time , the one that isn’t about getting there but about taking the journey .Philip Roughton has caught what I call the cold feel of the book ,I assume there is more in Icelandic about cold and cold weather but he has still managed to make you feel a real chill down your spine ,this would be a great book to read on a hot summers day as it will cool you down .This is another from this years IFFP it is on our shadow shortlist . Have you read either of the books by this writer ? When something happens in life, how do we ever know if someone is telling us the truth, that their version of events is accurate? Or do we just have to accept the impossibility of ever knowing anything (or anyone) for sure? These questions are central to The Infatuations, the latest book by Javier Marías. 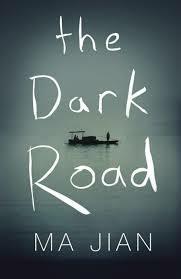 The novel is narrated by María Dolz, a woman in her late thirties, who works for a publisher based in Madrid. Every day, María has breakfast at the same café where she sees a married couple who also take breakfast together on a daily basis. María can see how much this handsome man and woman enjoy each another’s company, as they talk, laugh and joke ‘as if they had only just met or met for the very first time’. María never speaks to her ‘Perfect Couple’ (as she thinks of them) but simply seeing them together and imagining their lives lifts her mood at the start of each day. One day, the couple (Miguel and Luisa) are absent from the café; at first María assumes they have gone away on holiday and, deprived her morning fillip, she feels a little bereft at their absence. Later, she learns from a colleague that Miguel has been stabbed repeatedly and murdered by a homeless man in what appears to be a tragic case of mistaken identity. In fact, María had already seen the newspaper report of the murder (coupled with a photograph of a man lying in a pool of blood) without realizing that the victim was the husband from her Perfect Couple. A few months later, María sees Luisa at the café again, accompanied this time by her two young children. After a while, the children depart for school leaving Luisa alone and María decides to offer the widow her condolences. She soon learns that Miguel and Luisa had also noticed her at the café; indeed they even had their own name for her, the ‘Prudent Young Woman’. Luisa is keen to talk, so she invites María to come to her home that evening where María meets the intriguing Javier Díaz-Varela, one of Miguel’s closest friends. Although María doesn’t see Luisa again for some time, she bumps into Javier purely by chance during a visit to the museum and the two become lovers. As María continues to see Javier, she learns a little more about his relationship with Luisa and uncovers other information which causes her to question Javier’s true motivations and desires…and these discoveries cast a different light on events and circumstances surrounding Miguel’s death. What Marías does brilliantly in The Infatuations is to use the events surrounding Miguel’s murder to weave an elegant meditation addressing fundamental ideas about truth, chance, justice, love and mortality. There’s a philosophical, meandering, almost hypnotic quality to Marías’s writing. His extended sentences seem to capture a person’s thought process by giving us their initial perceptions or ideas, often followed by qualifications or even an alternative theory. And he softens the boundaries between thoughts and speech, too; once immersed in the middle of an extended passage, it isn’t always easy to tell whether you are listening to a character’s inner reflections or observing their conversation with another. This technique might sound a little confusing, but it isn’t at all; Marías pulls it off with tremendous skill and style, and Margaret Jull Costa’s translation is simply wonderful. The Infatuations is published in the UK by Penguin Books. 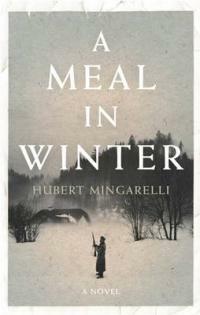 Page numbers refer to the paperback edition. Source: personal copy. Tomorrow see’s the official independent foreign fiction short-list comes out .So we decide to announce ours today as with last year we choose to read as many if not all the 15 long listed books from the 2014 list and we have reviewed them my fellow jurors David ,Tony reading ,Tony messy ,Jacqui (who has been guesting on all or blogs ) and Bellezza .SO we have read ,given scores and dissected this years long list.We have yet again made a short-list of our own from the 15 books on the list just to show the strength of the list and how it can be viewed by different readers .Its been a journey from Japan ,china ,Iraq ,Germany ,Spain among the few stops .We tackled connect story collections ,memories of Russian youth ,a family waiting for a husband to return ,a son following his fathers footsteps and a stories around the ten commandments .SO after all that we look at the book ,the translation and the long lasting nature of the book for the first time it is hard thing to say but we can try and sense if a book will hang around or just disappear from view .so with out further a do I present the shadow IFFP SHORTLIST ,we will choose our winner from these six books . 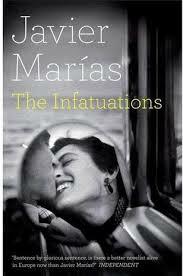 The infatuations by Javier Marias . A women’s journey with a couple she see’s evry day at a cafe ,it shows the difference in what we view and what is real . 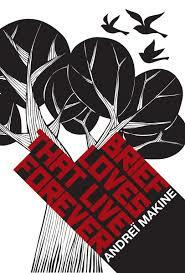 A russian youth partly remembered in a collection of short stories ,touching in points . 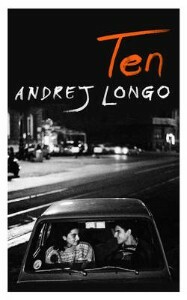 A wonderful insight into an east german family as the wall is falling .But where is the father ? Part two of the Epic my struggle we see Karl in the book struggling with the early years of fatherhood . A son tries to escape his father’s life with art but the war in Iraq and his mother being ill draw him back to being a corpse washer . Well that is our list ,you will have to wait to tomorrow to see what matches up with the Official Iffp list . Which of these six have you read ? Well to another short story collection from this years IFFP longlist .Also the second Iraqi title from this years list .Hassam Blasim is some what of radical figure in Arabic fiction as the stories he writes are Genre bending to say the least .Hassam Blasim Fled Iraq in 2004 when he had made a documentary film about the Kurdish area of Northern Iraq ,since then he lived in Finland originally a film-maker he has since made four more films for a Finnish film company .He also start writing at the same time ,this is his second collection to be published the first the madman of freedom square ,mad the Iffp longlist four years ago . We were meant to camp in an old girls’ school and some of the soldiers decided the best place to spend the night was the school’s air-raid shelter. Daniel the Christian picked up his blanket and other bedding and headed out into the open courtyard. ‘Of course, Chewgum Christ is crazy,’ remarked one of the soldiers, a man as tall as a palm tree, his mouth stuffed with dry bread. The opening of the title story of the collection The Iraqi Christ . I said Hassam was a radical figure ,it is more his style of writing in this collection we move from the Iraq was in the title story Iraqi christ ,we meet Daniel the gum chewing soldier as he fights in the war He is one of the few christian fighting alongside his comrades .Elsewhere we travel into the utterly surreal in a story like dung beetle a man or is it a man talking to a doctor in Finland but his is from Iraqi ,as he spouts out to the doctor .Drama post war in the Green zone living in the post war Iraq with the westerners .More traditional sounding stories like A thousand and One Knives ,an obvious play on the most famous Arabic story One thousand and one Nights .Elsewhere a crossword setter is driven to the edge as he is haunted or more possessed by one of the victims of a bomb he narrowly missed . Doctor, I can identify my feeling at that moment as a desire to kiss, to stand in front of the station gate like the people who give out free newspapers and adverts, to stand in the way of people in a hurry and to stop them to kiss their hands, their shoes, their knees, their bags. And if they allowed me to bare their arses for a few minutes, to kiss them too. Excuse me, madam, can I kiss the sleeve of your coat? Please, sir, accept from me this kiss on your necktie. Kisses for free; sad, sincere kisses. And very often, doctor, I don’t just want to kiss people, I want to kiss the vestiges they leave on the pavements: kisses for cigarette butts, for a key that an old woman lost, for the beer bottles the drunks left behind last night, for the numbers on discarded receipts; kisses that combine the maternal instinct with lust, as day and night are combined in my head. A passage from my favourite story in the collection the dun beetle . I read Tony’s review the other day he compared some of these stories to the Magic realism of Marquez ,he has touches of that ,for me other writers leap to mind my favourite story in the collection was the dung Beetle ,which for me had huge echoes of classic mittel European short stories .There are other bar room stories a man returns from the bar to find a wolf in his room then it is gone when awakes ,this could come from the pen of the grand masters of short fiction Italo Calvino or Borges .The collection shows a writer that obviously loves short stories and loves playing with the form as a writer himself .I felt this is a collection of a writer that has big things to come in the future ,the stories in this one vary from sublime to surreal but maybe jar to much of the collection in comparison to the other collections on this years IFFP longlist .I will be reading his next collection for sure as I can just see Hassam Blasim getting better over time as he works through his obvious love of short stories and writers of short stories as he develops his own twists and style even more . 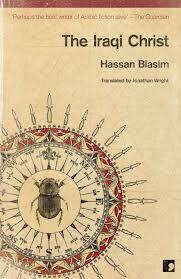 Have you read Hassam Blasim ? Sayed Kashua is a well-known figure in Israeli ,he publishes a regular column in an Israeli newspaper .He is also the writer behind the hit comedy show Arab Labour which has been a runaway success in Israel .Exposure is his fourth book .I’ve found a clip of the title actually full episodes are available on you tube it is a sitcom following Arabs and Israelis living together . The lawyer buys the book in question . Well the show is a good starting point for the book although the book isn’t comic ,but touches a lot of the same ground and the is identity in Israeli from both side Arab and Jewish .The book is formed of two stories that unfold side by side the first is the story of an Arab lawyer .but he is a high-flying lawyer trying to escape from his Arab background and get accepted in the mainstream Jewish life as a lawyer . 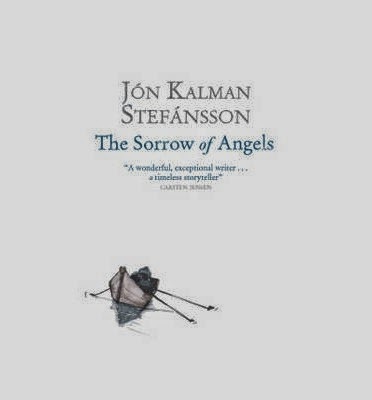 The lawyer by chance finds a copy of Kreutzer sonata by Tolstoy a book that his wife recommend to him to read in this second-hand book he discovers a letter in Arabic that appears to have been written by her wife to the books previous owner of the book. the previous Yonatan is the link to the second story ,but back to the first he of course now want s to find out from his wife who this was and why she wrote the letter .The second story is about a young Arab man Amir struggling to get work ,then finds himself working as a carer at night looking after a young Israeli who is called Yonatan ,Amir starts to look into this young man’s life his likes and dislikes .Takes things like his camera and then decides he could become Yonatan ,so is he the one in the first story ? Well the book is as Tony put it is very easy read and it is but it tackles a lot of subjects close to the heart of Israeli and to some one like Sayed as he is an Arab Israeli that is their place in modern Israeli ? How close can they come to be a full part of Israeli life without taking Amir’s path and stealing an identity or the Lawyer (we never get told his name ) where he has really sold his soul to be where he was and of course the first story on its line of marital betrayal , jealousy could be a spin on the Tolstoy story which Thou I’ve not read it is about a marriage ,a wife’s betrayal and the husband in that book kills his wife . (an aside to this is I had said I will get this book by Tolstoy next time I see it and low and behold last week I brought a second-hand copy a little bit of a deja vu moment .) 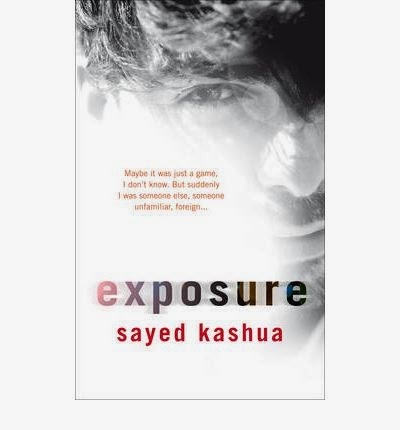 .I feel this is very much an IFFP book as it tackles issues but also is one that serves well as a book group book with many points to dive off from about it .This was the third book by Kashua to be translated to English another book apart from this one had been on the longlist for the IFFP .